This page contains a long and detailed tutorial, about WooCommerce variable products. But, the process is really quite simple. Make attributes of color and size. Add terms or variations of small medium and large to those attributes. 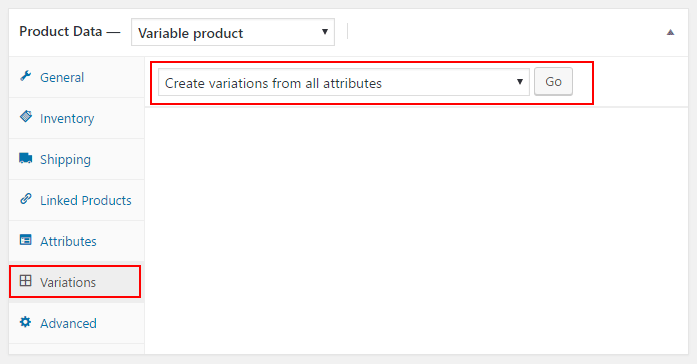 In the variations tab, create variations from all attributes. Set the prices, thumbnail images and shipping class etc for every variation of your product. You now have a product such as t-shirt, with variations such as color and size. 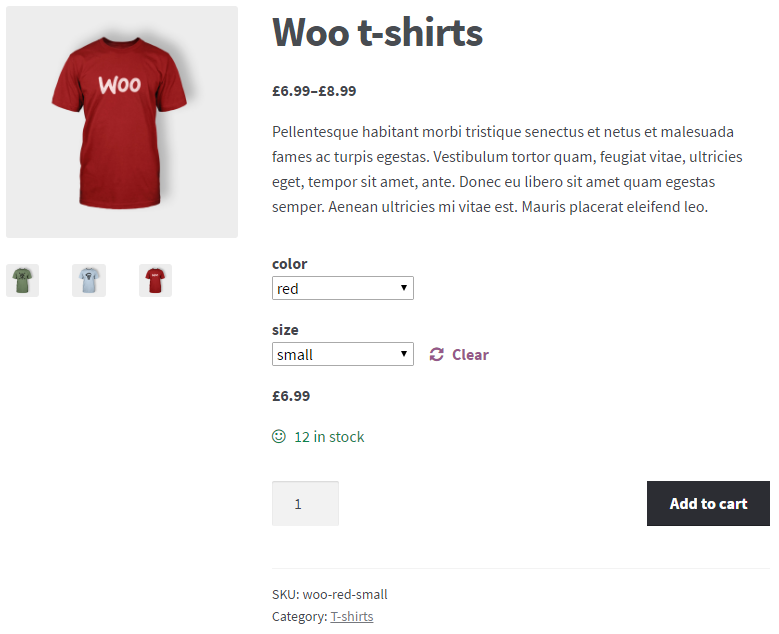 A good example of a WooCommerce variable product is a t-shirt that’s available in three colors and three sizes. Shoppers choose the color and size they want using drop down lists. You go through several steps to build a WooCommerce variable product so I’ve made several videos to go with this tutorial. First you need to know how to make attributes and terms. I’m going to do that in the first video. Add new terms of red, green and blue to your color attribute. Add new terms of small, medium and large to your size attribute. 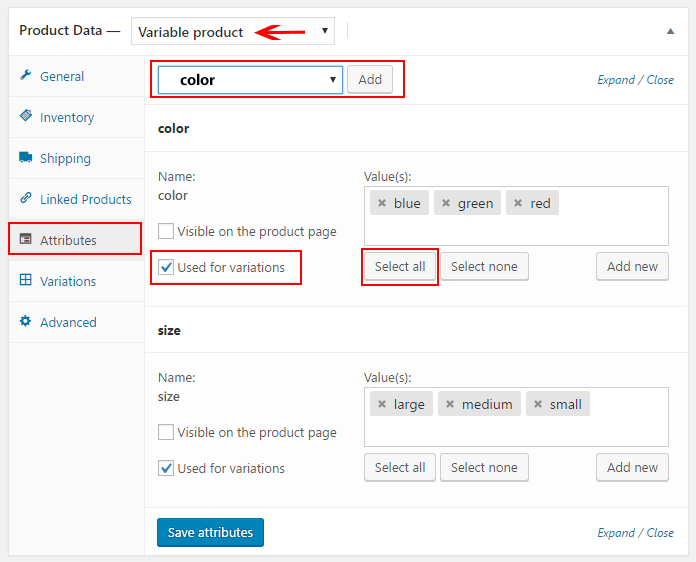 You can now move on to the next step in making your WooCommerce variable product. There are three types of physical products in WooCommerce. In this tutorial I’m dealing with variable products. There are two descriptions. The long description goes above the “Product Data” section. The short description goes below the “Product Data” section. Set a product image. Do this in the same way you would normally add a featured image. Add product gallery images. This option is directly below the product image. 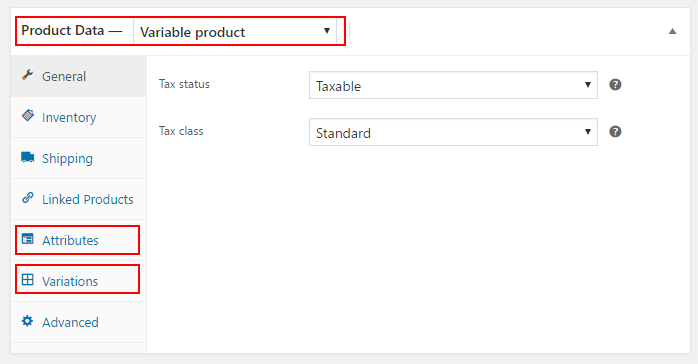 Categorize and tag your product using the “Product Category” and “Product Tag” options. Product categories and product tags are independent of the WordPress categories and tags used on ordinary WordPress posts and WordPress pages. 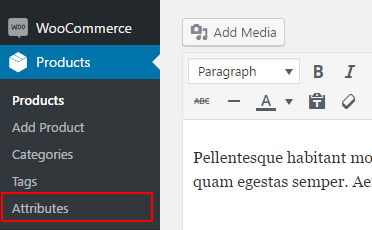 The product data section is sandwiched between the long description and short description sections of the WordPress editor. 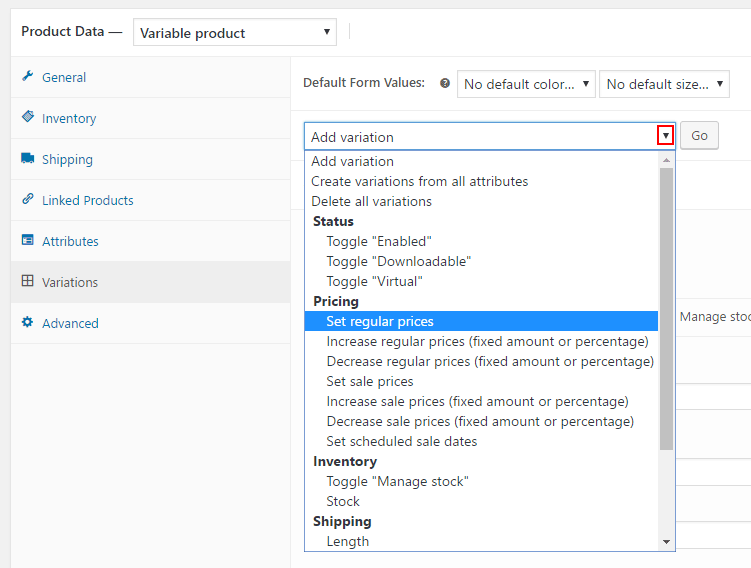 Make sure you select the variable product option from the drop down list. 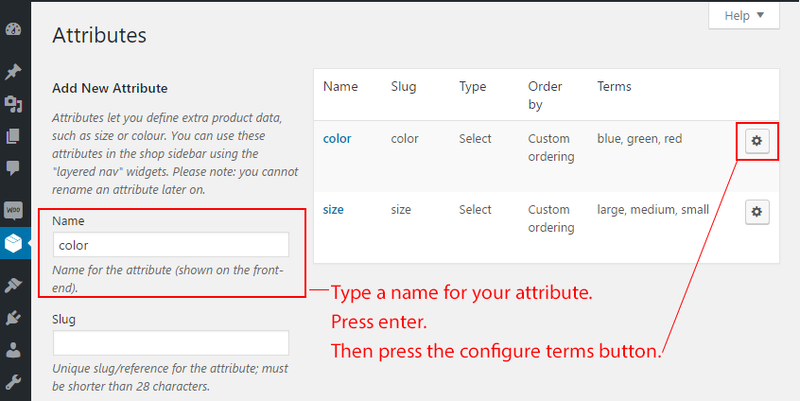 Click the custom product attributes drop down and select an attribute, color for instance. Then click the Add button. We made the attributes in a previous video. Click the “Used for variations” tick box then click the select all button to add all of the Values (or terms) to this attribute. Repeat this process for any other attributes, such as size. Carefully work through every option for every variation, one by one. Adding the relevant data. You MUST include a price for every variation, most other data is optional. 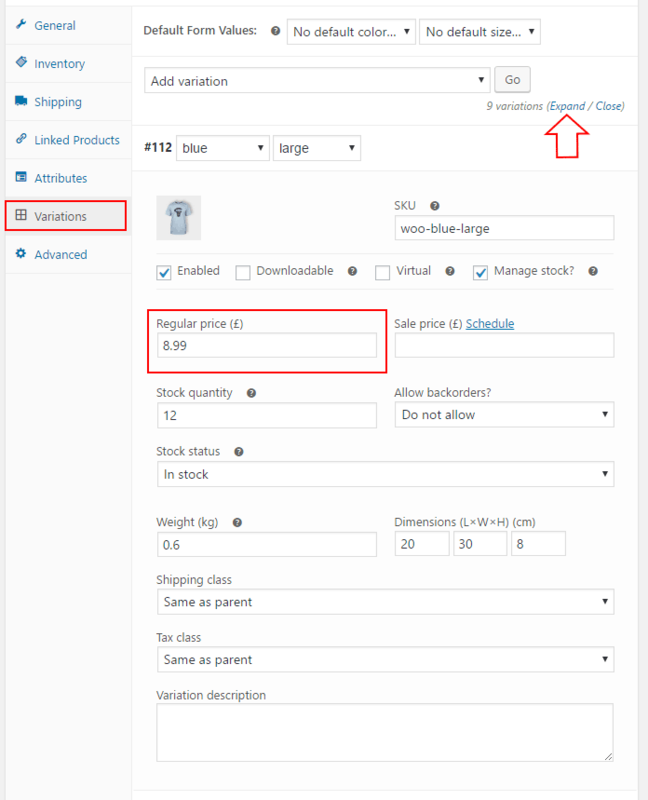 After you’ve added your variations, you can use the “Add variations” drop down to automatically set, for instance, every price in every variation. This makes every price the same. So your small red t-shirts would have the same price as your large blue t-shirts for instance. However, if this is what you want, it’s a quick way to do things. Are you looking for a great looking theme to use with your WooCommerce shop? Several of these themes are WooCommerce enabled.